Happy ‘Earth Overshoot Day’! Wait, what’s that? Well, basically it means that the Earth can’t handle our existence. According to the Global Footprint Network, we’re now using more renewable natural resources than the Earth can regenerate in a year. They call this ‘ecological overspending’. In other words, we’re into our eco-overdraft. planet’s renewable resources What's this?
. 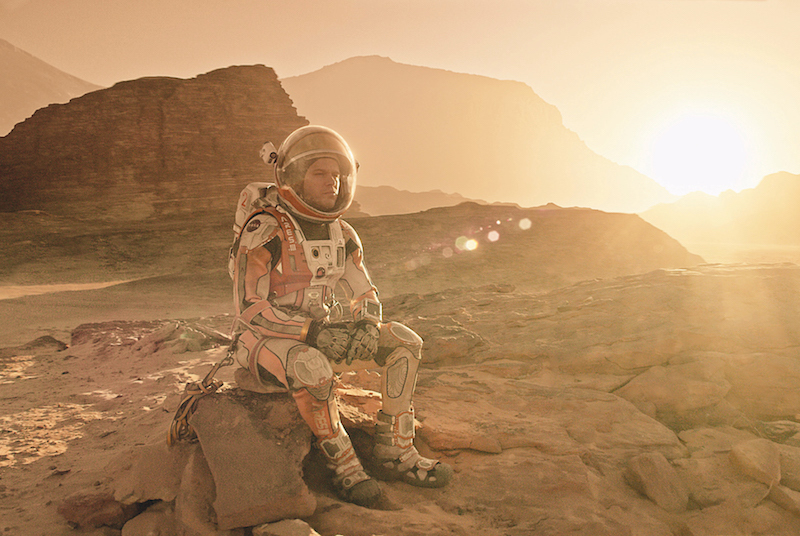 As it stands, this year we’d need the equivalent of 1.6 planets to support human activity. And according to the Global Footprint Network, by 2030 we’ll need two planets. Mars sure is looking fine right about now! Good thing Matt Damon already scoped the place out. In all seriousness though, the effects of ecological overspending are apparent all over the world already. There’s no sugar-coating it, climate change* is a serious problem, as more of the wrong kind of records tumble this year. But let’s take a step back and look at it from another perspective. What does it mean to ‘overshoot’ Earth and ‘overspend’ its resources? Imagine you’ve just won the lottery. You quit your job and you tell yourself, “I’m going to put this money in a savings account, and live off the interest!” Genius. You’ll always have a nice soft bed of money to sleep on. That goes well for the first few months, but then you see a neon-yellow Hummer with pink flames on the side and you just have to have it. After the Hummer, you buy a McMansion, stocked with a bunch of awesome stuff, like a trampoline and a fountain that runs on the tears of rare Appalachian alpacas. Oh wow, that’s a nice yacht, gotta have that too! Hey, don’t worry about it, you won the lottery, you can afford it, and it’s really your prerogative to show off your wealth. That’s basically what we’re doing right now. The lottery is the gift of Earth’s renewable natural resources and we’re spending that cash quick! Two terms are important here: 'biocapacity' and 'ecological footprint'. The first refers to the Earth’s biologically productive land and sea area, including forest, grazing lands, cropland, fishing grounds, and built-up areas. It measures the supply of renewable natural resources the Earth gives us each year. The ‘ecological footprint’ measures a population’s demand for plant-based food, livestock and fish products, timber, space for urban infrastructure, and forest to absorb carbon dioxide emissions from fossil fuels. Earth Overshoot Day is calculated by dividing the planet’s biocapacity by humanity’s ecological footprint. This ratio is multiplied by 365 to get the date when Earth Overshoot Day is reached. But enough math, let’s get to solving the problem. Studies have shown that a large chunk of the impact of climate change comes from household consumption. So we could just all do our bit – eat less meat, not buy a new iPhone every year, take the train, bus or bike instead of the car, and not take intercontinental flights too often. 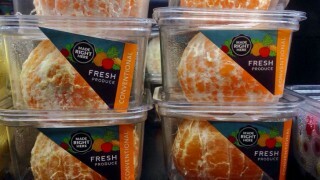 And stay away from those ‘organic’ pre-peeled packaged sumo mandarins - they’re the devil incarnate. If we collectively change our consumption habits to better products and less stuff in general, we can perhaps delay Earth Overshoot Day by a few days next year. But is a few days enough? It’s very convenient for corporations and governments to have you think we can consume our way out of climate change. Corporations can keep selling you their ‘organic’ products, and governments can keep increasing GDP, that little number you see all over the news. We’re in a carbon lock-in, which means that we've structured our entire economy around fossil fuels and overspending our resources. This systematically prevents us from really pushing back Earth Overshoot Day. Climate change ultimately boils down to this: the paradox of infinite economic growth on a finite planet – it just doesn’t work. In my opinion, anyone saying we can grow our way to a sustainable future is selling snake oil (or organic pre-peeled packaged sumo mandarins). If we want Earth Overshoot Day never to happen, we'll have to address this paradox with honesty, courage and ingenuity. Admitting that growth is the problem is the first step, and what we need to aim for is not growth, but prosperity without growth. If all else fails, we still have Captain Planet. *Please talk to your doctor before taking Climate Change®. Side effects may include rising temperatures, soil erosion, desertification, reduced cropland productivity, and overgrazing, deforestation, rapid species extinction, fishery collapse and increased carbon concentration in the atmosphere.